A few years back I picked up a book in New York called the "MT Kamoi Masking Tape Book". 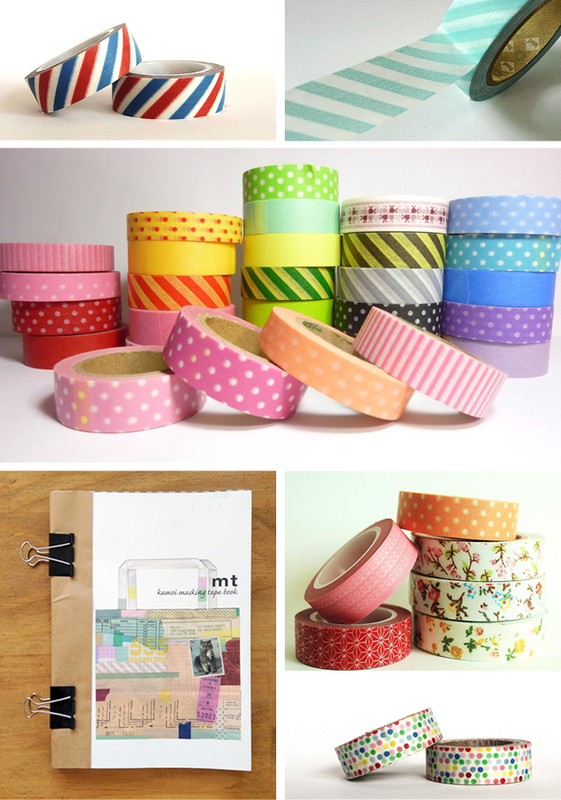 I didn't really know what it was about, but have since observed a growing trend for Washi Tape: printed Japanese rice paper masking tape. It's very crafty and I haven't yet been able to think of any genuinely useful ideas for its application, but it is soooo pretty and I love the uncoated paper finish. Have a look at Etsy for a growing list of sellers offering this delightful stuff.